Playing Michigan Lottery is a good chance to have some fun and potentially win big. Thanks to the Michigan Lottery App, you can now play on the go wherever you are, on both Android and iOS devices. This app is modern and intuitive and also contains all of the main features that you can find on the main website. To learn more about what it offers, check out the table we’ve prepared below. The Michigan Lottery App is available for both Android and iOS devices. However, the download and installation process differs for the two operating systems. 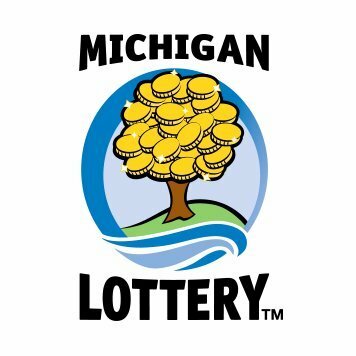 The Michigan Lottery Mobile App for Android devices is available only as a third-party application due to Google Play Store’s policy. Therefore, you need to download the app from the Michigan Lottery website and install it manually. Before you can do that, you need to go to your device’s settings and allow installation of apps from sources other than the Play Store. Users with Apple devices can simply go to the App Store, search for the “Michigan Lottery Mobile App” and install it like any other app before. The Michigan Lottery App is compatible with both Android and iOS devices. To install it on an Android device, you need to have Android 5 operating system or newer version. However, to play it on an Apple device, you need at least iOS 10 operating system. The system requirements are not too high or too demanding, so you can use the Michigan Lottery Mobile app on any device with average specifications. You should not experience any lags or performance issues. All new players who register for a Michigan Lottery account for the first time are eligible for the awesome welcome bonus. Register on the Michigan Lottery website as a new player. Make sure to read and understand the terms and conditions. Make a deposit of up to $200. After your deposit is processed, you will receive the bonus funds. Use them to play any Instant or Draw Game online and play the Free Games of Treetop Treasures. To enjoy additional benefits, use the Michigan Lottery promo code when registering for your account. By installing the Michigan Lottery app on your mobile device, you will gain access to a lot of features and services that you could not use before. You can use the app to watch Keno club drawings, view current jackpots, check winning numbers, find Michigan Lottery retailers in your vicinity, and a lot more. Play the Daily Spin to Win game for a chance to win rewards every day. Scan tickets to check for winners. Play Michigan Lottery’s online games for cash right in the app. Check winning numbers and current jackpots. Ability to purchase tickets for Powerball, Mega Millions, Fantasy 5, and Lotto 47. Moreover, you can choose to turn on Alerts and always be informed when there is a new promotion or a draw worth participating in. Of course, if you dislike notifications, you can easily turn them off. If you want to learn even more about the Michigan Lottery app, check out our frequently asked questions below. To place a bet on the Michigan Lottery Mobile app, you first need to download and install it. After the installation, you must register and deposit some money to the account. The next step to take is to find a game you like, open it, and start betting on it. To make a deposit, open the Michigan Lottery app and find the “Deposit” or the “Cashier” section. Next, choose your preferred deposit method and the amount you wish to transfer to your account. Depending on the deposit method you choose, you might need to wait for a while before your funds are ready. To make a withdrawal, open the Michigan Lottery mobile app and find the “Withdrawal” or the “Cashout” section. After that, choose your withdrawal method and the amount of money you wish to withdraw. Again, the processing times might vary depending on the withdrawal method you have chosen. There are several ways in which you can contact the Michigan Lottery mobile app customer service. You can either email them through a contact form, chat with them using the Live Chat feature, or give them a call on 844-887-6836. To sum up, let’s take a look at the main pros and cons of the Michigan Lottery app and tell what we think about it. All in all, we are very happy with the experience we had with the Michigan Lottery mobile app, as certainly are all of its users. There could also be found some negative comments online regarding the apps, but the overall impression is more than positive. The app is compatible with both Android and iOS devices and the system requirements are not very high, so even players who own devices with average system specifications can enjoy playing on the go.